“When will I be famous…?” So whatever DID happen to Bros? Okay, I’m done with remenissing reminnising remenicing talking about the past. Almost. 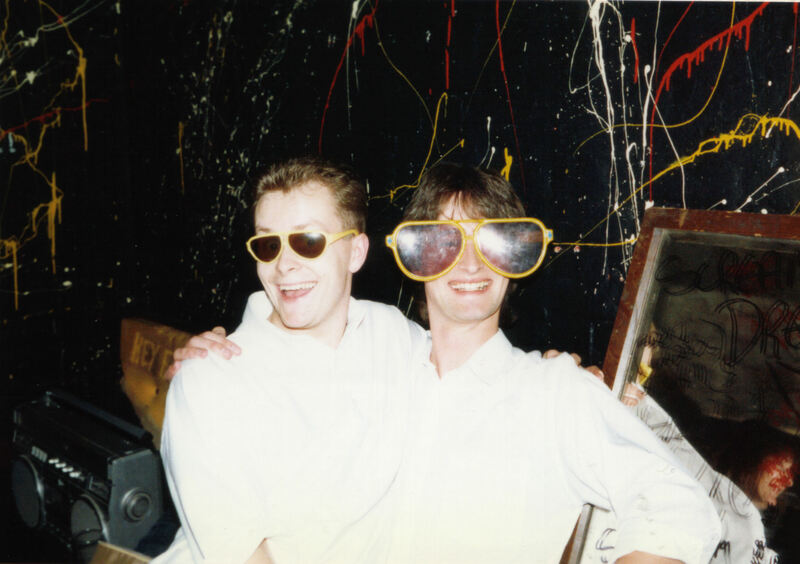 The photo above shows me and my mate Andy “Kitch” Kitchinson in the dressing room of the The Charlotte in Leicester, on the night of our 1988 gig, immortalized on the collectors’ item album Live At The Charlotte. We seem to be genuinely happy… so the picture was probably taken before we went on stage and played the gig. 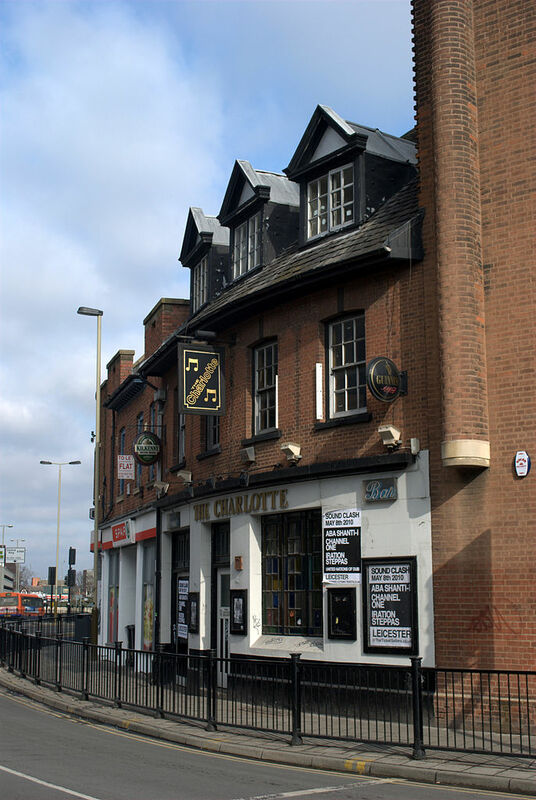 The Charlotte in Leicester: Muse, Radiohead, The Big Kiss – all the greats have played there. Don’t remember much about the night in question, apart from the fact that I was well chuffed to finally be playing on a proper stage in a proper venue. And then well cheesed off to find that the keyboard player and the drummer (Nick Thomas and Chris Steele) were in some kind of “mine’s bigger than yours” competition, and had both brought along every single piece of equipment they ever owned. Me, Kitch and vocalist Mark Barker were left teetering on the edge of the stage. So much for the choreographed rock star moves that me and Kitch had worked out – doing synchronized backflips, putting our feet on the monitors, shooting rockets from the end of our guitars – it was all I could do to get to the microphone without tripping over my lead and garrotting myself. But I remember being pleased to see that The Christians had played there the previous week – they had graffitied the fact on the dressing room wall – so it wasn’t just us playing the so-called “toilet circuit”. Though I suspect that they probably made a bit more money on the door than The Big Kiss did. I’ve just looked The Charlotte up on Wikipedia, to discover that the venue closed its doors for the final time in March 2010. A shame. Also on the Wikipedia page there’s a list of well-known bands that have played there that reads like a veritable who’s who of indie rock: Radiohead, Pulp, The Stone Roses, The Las, The Arctic Monkeys, Oasis, Razorlight, Muse. So we’re in pretty good company. This entry was posted in ramblings and tagged Arctic Monkeys, Charlotte, Leicester, Muse, Oasis, Radiohead, The Big Kiss. Bookmark the permalink. Must say I’d never heard of it as a toilet-tour venue and I’ve done a few of them in my time, but mostly in London. Not as prestigious as the previous site of the club…. I was living in Watford around then – you shoulda popped in for a cuppa!